Laura Roling is a driven journalist, translator and copywriter of texts in Dutch and English. Whether you’re looking for someone to conduct a thorough in-depth interview, to take care of your business’ copywriting, or to produce an intriguing piece of background writing, Laura Roling knows how to present content in exactly the right way. Would you like to discuss possibilities? Send Laura an email. Laura is specialised in the field of arts and culture. Her performance reviews, background articles, interviews and opinion pieces are regularly published in various media. Laura produces various types of copy. Her online content is produced to make optimal use of the (SEO) possibilities that different online media have to offer: whether copy for a website, e-newsletter or social media post is needed, Laura can forge effective texts that suit your needs and corporate identity. At the same time, Laura also knows how to write effective and interesting offline content, such as flyers, reports or whitepapers. As a PhD researcher in Classics at the University of Amsterdam, Laura hasn’t just produced complex academic writing. She has also written articles on her research that unlock her work to a wider public. Within the world of academia as well as outside of it, Laura provides interesting and inspiring presentations on literature, the Classics, theatre and opera. Laura is also good at introductory talks, and regularly provides informative and entertaining introductions to specific operas for the Friends of the Dutch National Opera. Laura is a young Amsterdam-based journalist, translator and copywriter who combines the ability to look at things from fresh perspectives with firm (academic) groundwork. 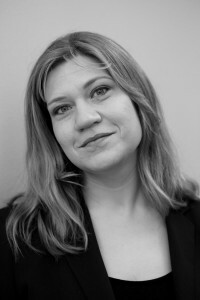 After obtaining her bachelor’s degree in Greek and Latin Language and Culture, Laura went on to graduate from the research master’s programme in Literary Studies (with a focus on Ancient Literature), and subsequently obtained a funded PhD positions at the University of Amsterdam. She has also obtained a bachelor’s and master’s degree in English Language and Culture. Therefore, she has a near-native proficiency in English. Laura is working on improving her German. She has completed two language courses (levels B1 and B2) at the Goethe Institut, and is currently enrolled in a course that works toward achieving level C1. In her early days as a student, Laura fell in love with opera, and the art form has played an important part in her life ever since. For almost 4 years, Laura has been involved with the Friends of the Dutch National Opera, and especially Fidelio, a platform that aims at enthusing young audiences for the art form and generating a new generation of loyal patrons for the Dutch National Opera. In recent years, Laura’s journalistic efforts have been mainly focused on opera. Laura is currently active as a contributor to the Friends Magazine of the Dutch National Opera, has written interviews and performance reviews for operamagazine.nl, and has recently published in the Opera Forward Festival Magazine, which features her first English-language article on opera. Also, she has started Operatics, an English-language website on opera. For samples of Laura’s writing, see her Portfolio.